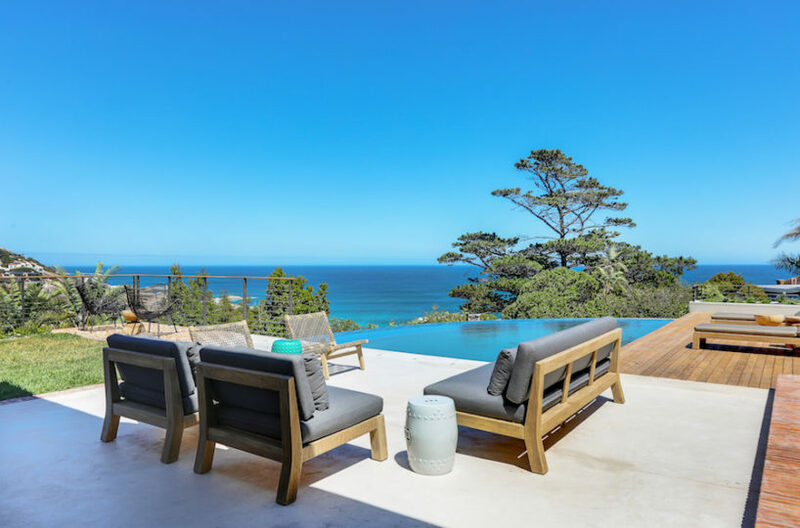 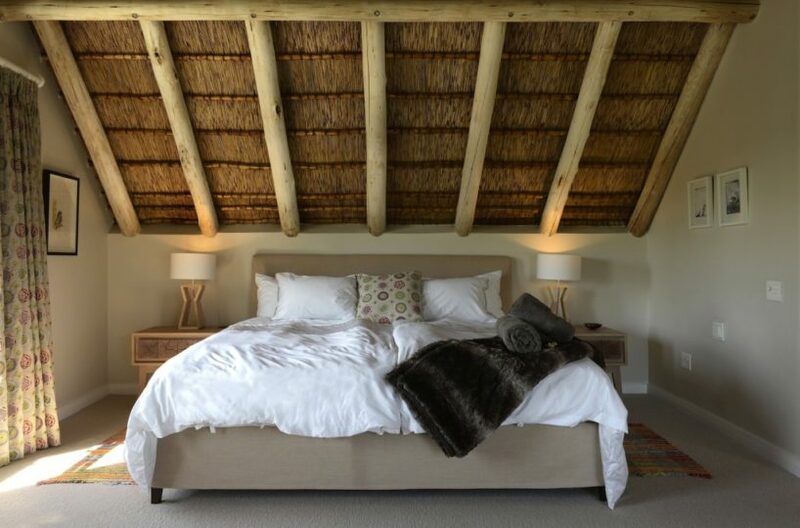 Built in classic Cape Dutch style, complete with thatched roofing, 16 Cabriere is regarded by many as one of the most remarkable properties in the area. 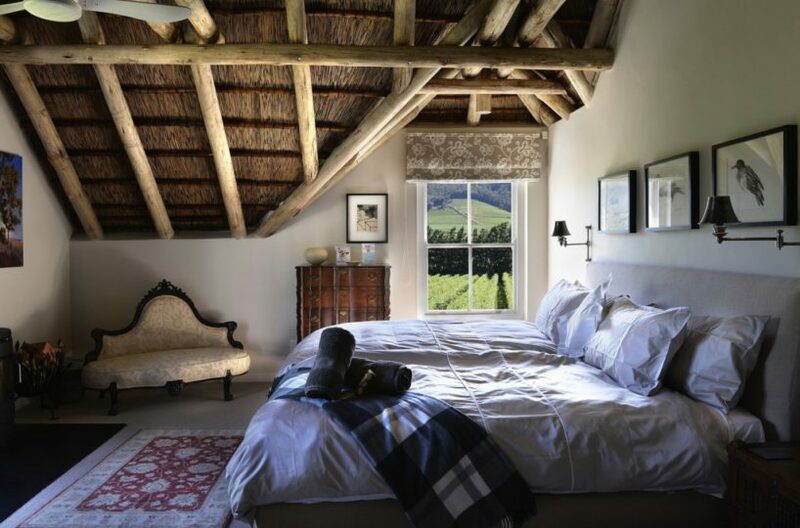 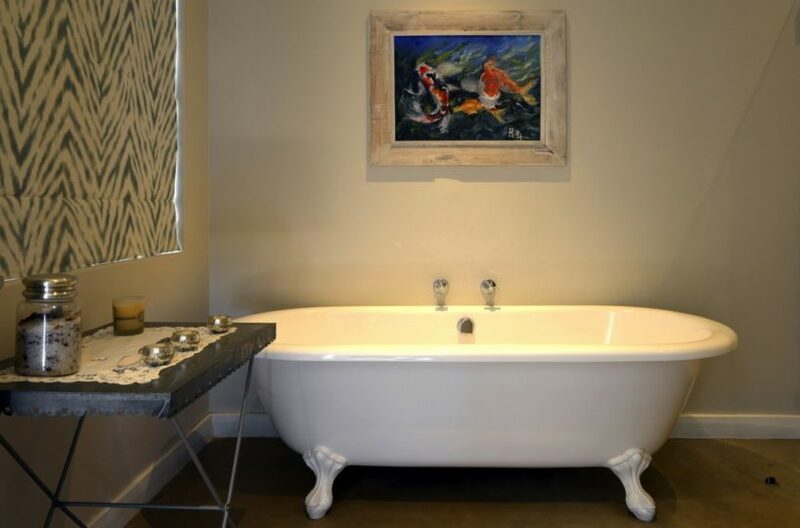 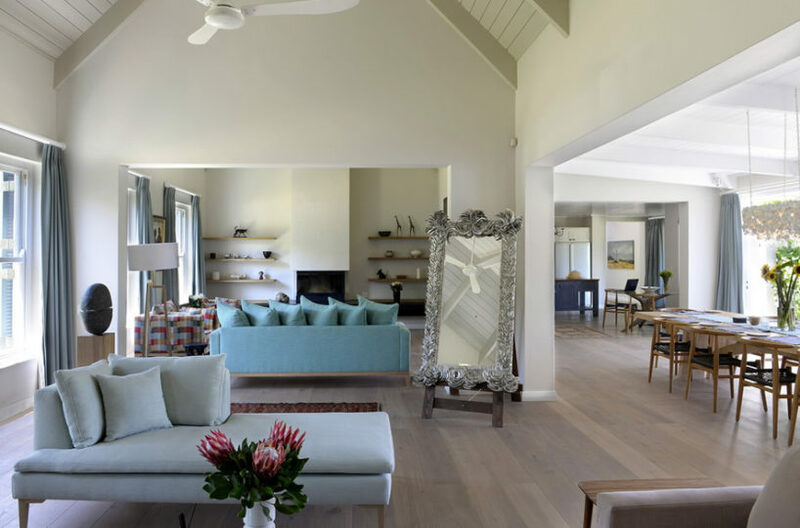 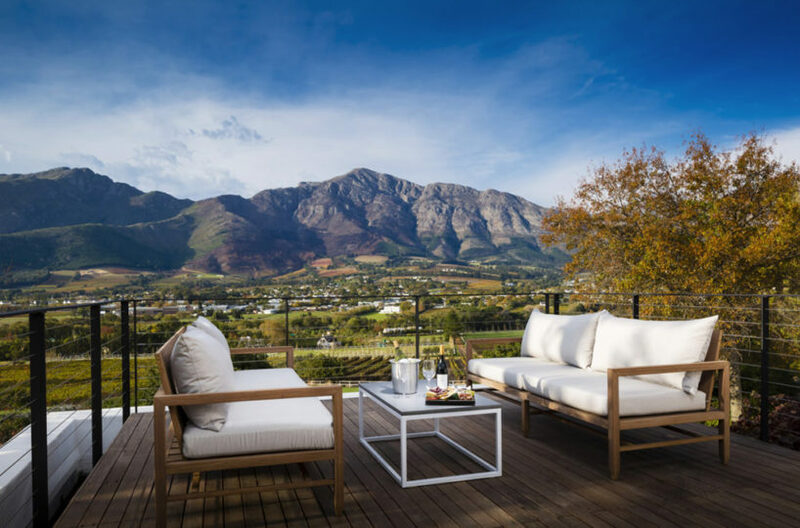 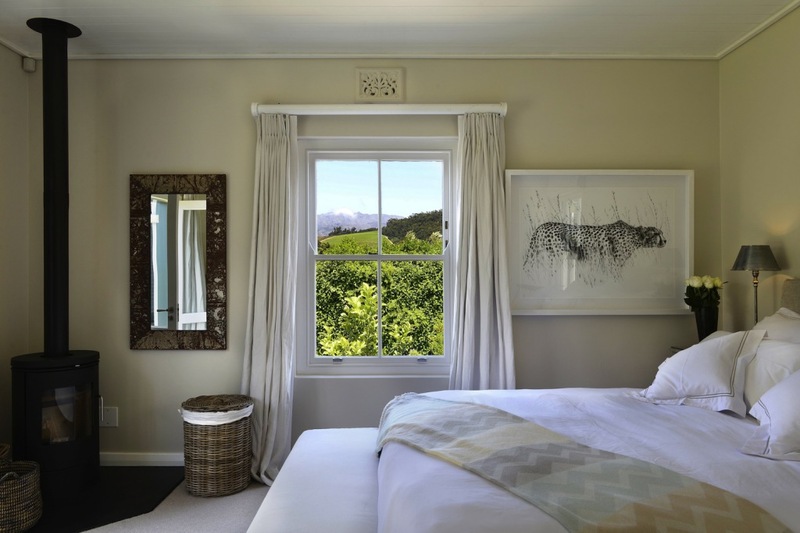 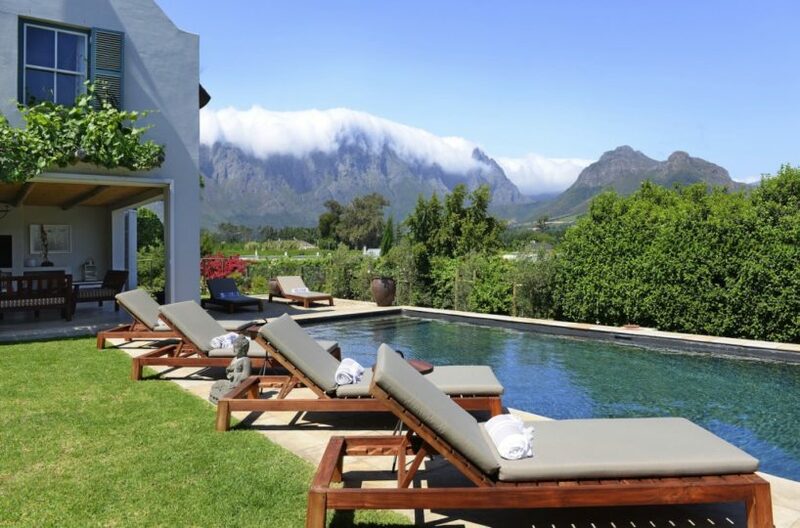 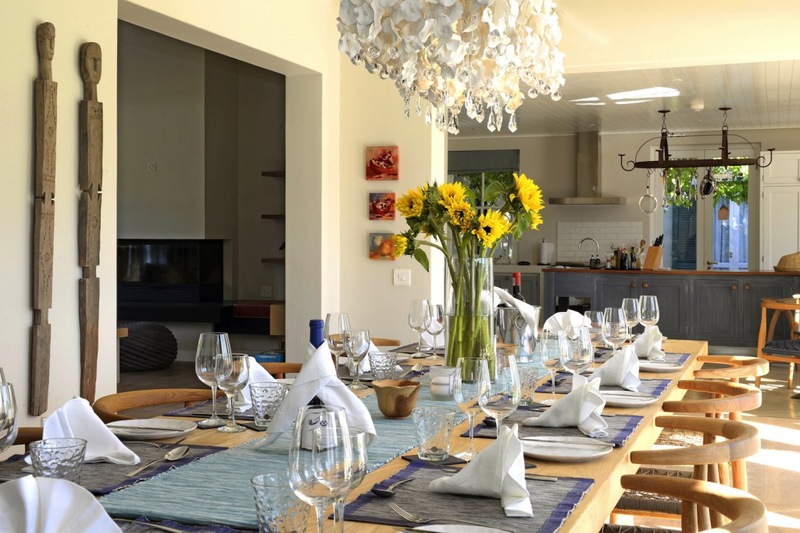 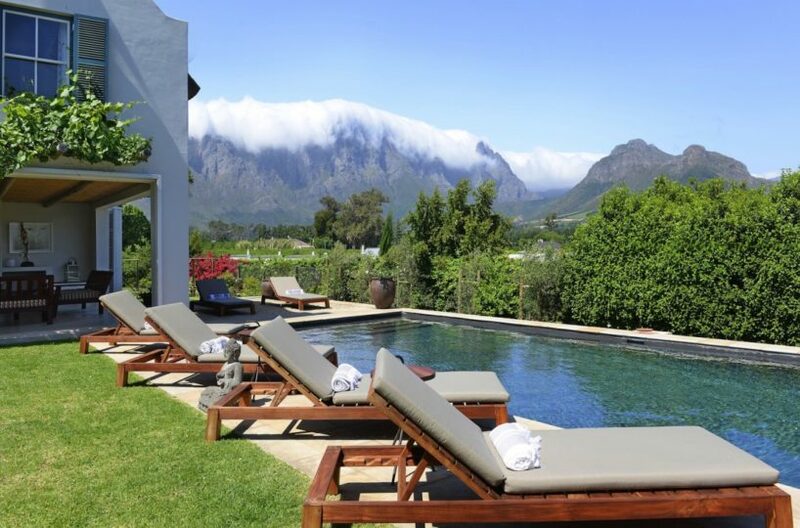 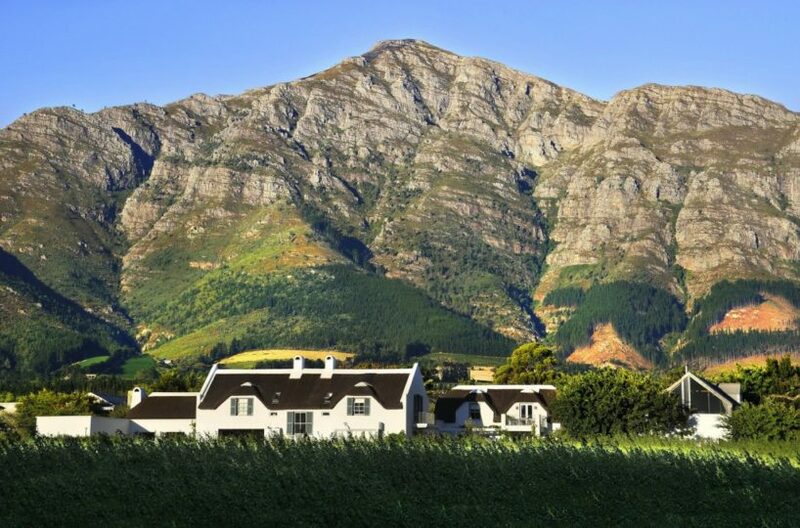 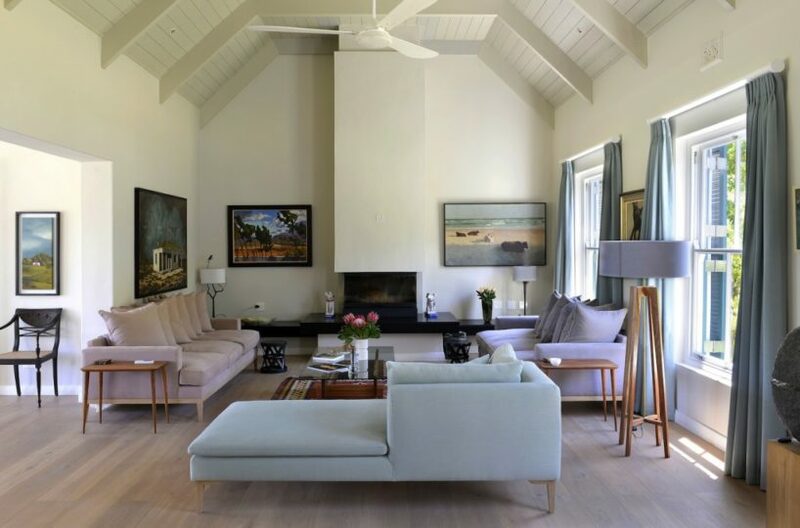 Silhouetted by the rugged mountains, the house overlooks a beautiful fruit and wine farm and is only a short walk from the charming and bustling town of Franschhoek, which is renowned for its superb restaurants and art shops. 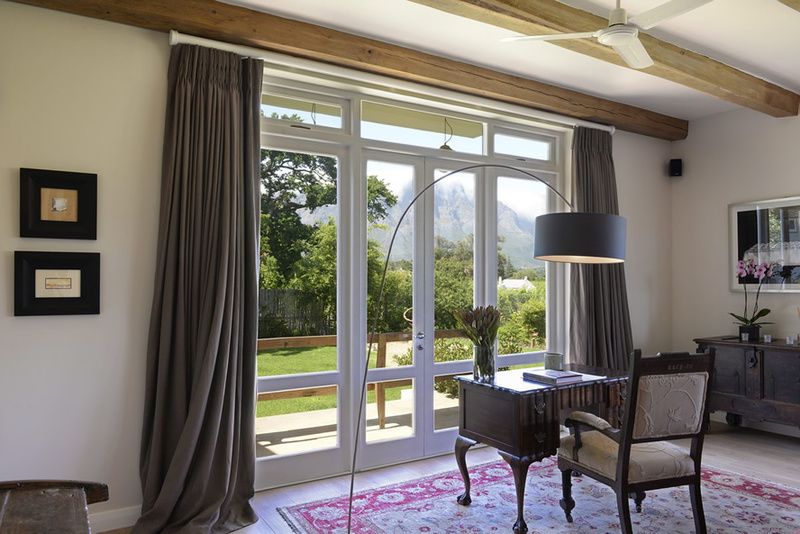 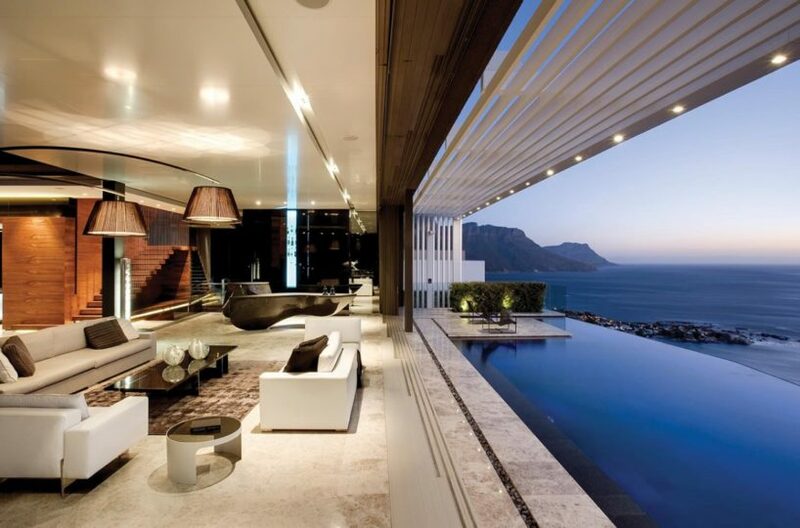 Four beautifully appointed suites and a massive 750m2 (7500ft2) of living space. 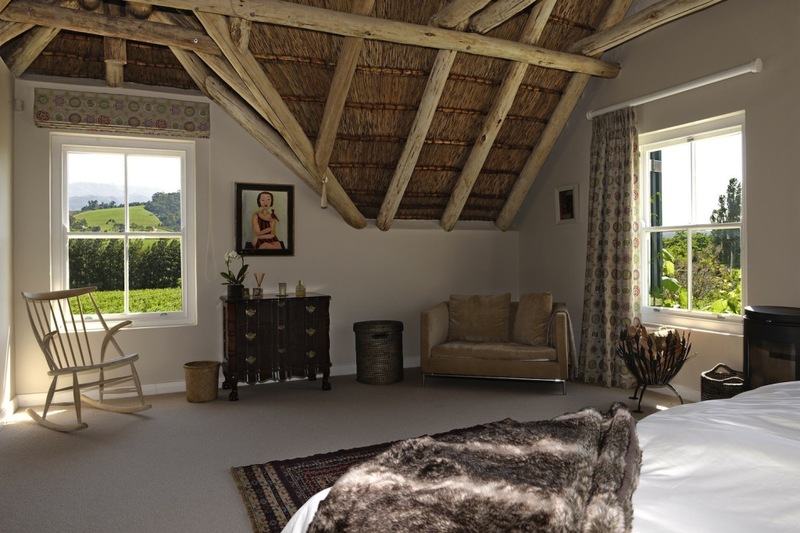 An additional bedroom can be made available for a nanny or extra children. 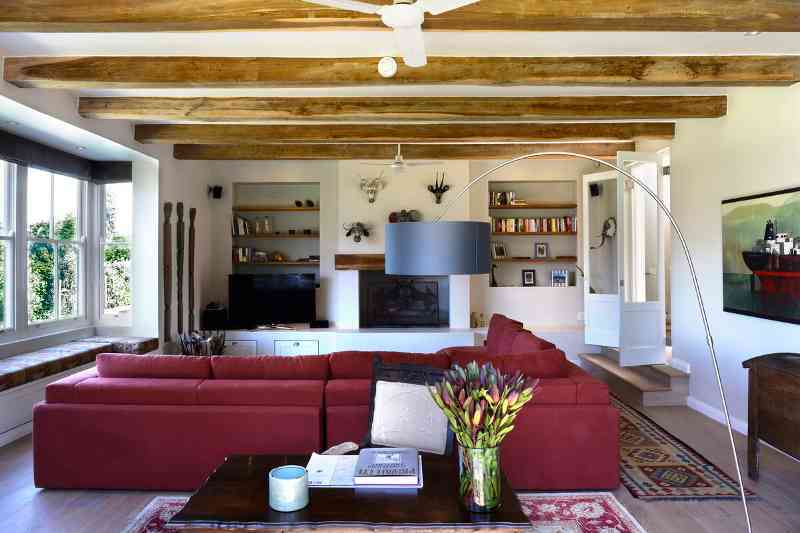 Surround sound satellite TV & DVD player. 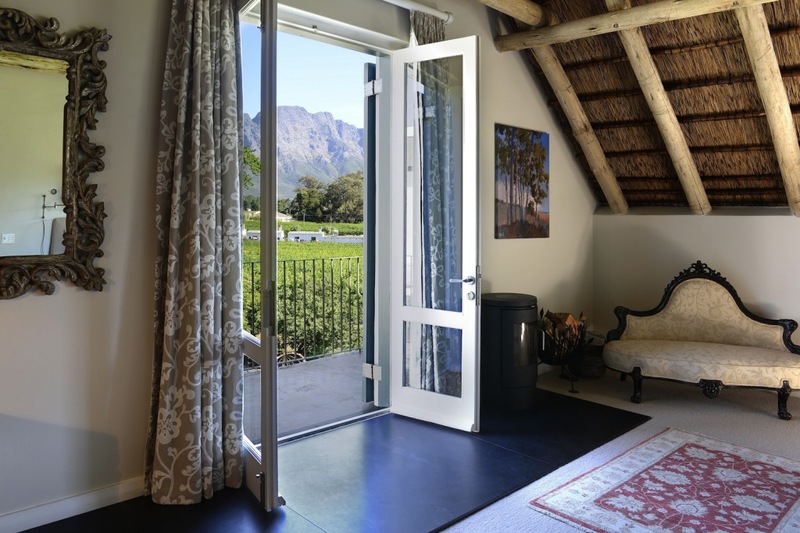 Gates designed by local artists Andrea Desmond-Smith and Kobus Stander. 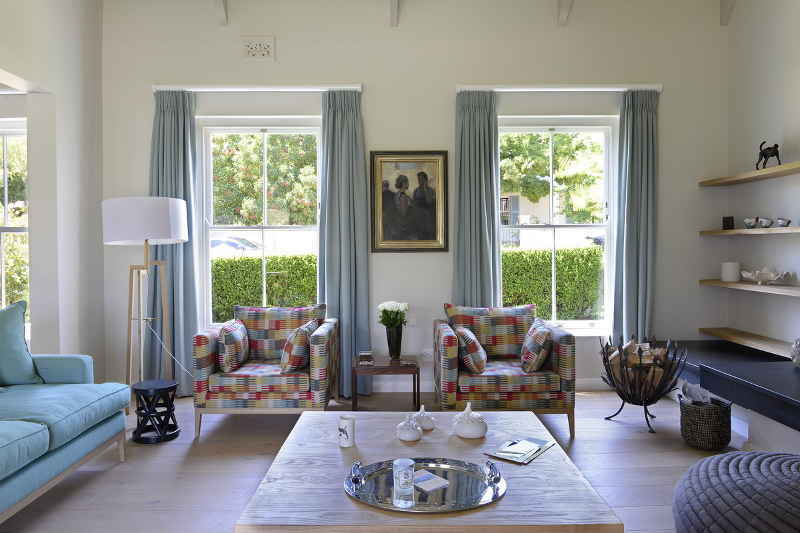 A spacious living area comprises a fully-equipped kitchen with butler’s pantry, dining and drawing rooms. 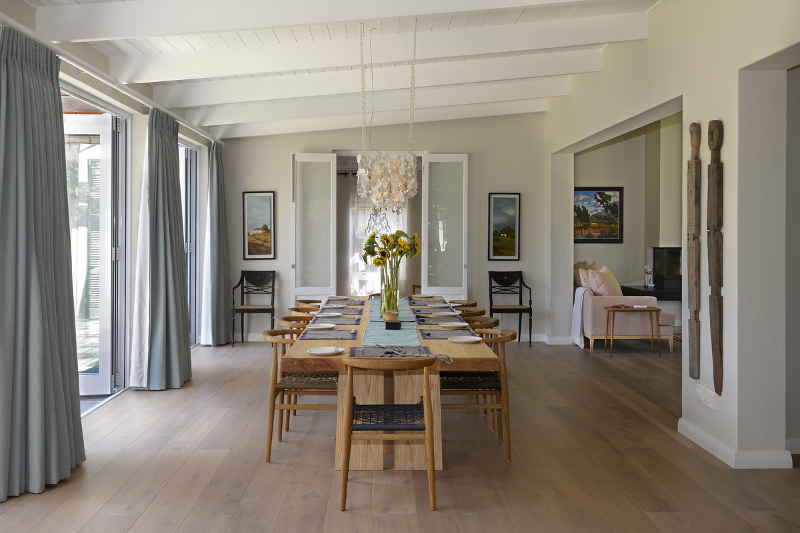 The dining room opens onto an outdoor patio – making an ideal space for entertaining.